Zach and I both took a CPR class for a semester in college (It was the CRAZIEST class…Zach and I were both in it along with his high school sweetheart who he dated for like 2 years, a girl he randomly semi-dated for a while, and the girl he broke up with to get with me. What are the odds?!?) but also took the infant CPR class at the hospital when we were pregnant with Kye. We felt that we could def use a refresher then since being parents put it all in a new perspective ya know? Here’s my post from that course! This time around we decided the Infant CPR course was essential. When I babysat Titus and witnessed what we think may have been his first seizure I did not know he was having a seizure and started to do CPR steps on him. The FIRST thing I did was the finger sweep method. In this case, it helped because it snapped him out of the breath holding fit he was having and helped him not to go into a deeper seizure, but had he actually needed CPR the finger sweep was the wrong thing to do. You are not supposed to do the finger sweep method on an infant and he was only 10 months old! You think with proper training that you know what to do and that you’ll be able to handle it if it happens to you. You also think “what are the chances it’ll happen?” Well…now I feel like those chances are pretty high and I know that at the moment you won’t remember the exact steps you were taught. I handle high-stress situations fairly well and tend to keep a level head and even I didn’t do it “correct.” I cannot imagine if it’s my own child in need of something like that how I would respond! In addition to Zach and I taking the class, I also called SGMC and asked about our mothers taking it too. I feel that anyone who cares for an infant at any time needs the course. I paid $5 each for them to go with us. Mom was out of town (on her first Aflac trip! Yay!) so she’s going to her class in December, but Mrs. Charlotte came along with us on the night we went. I feel better leaving my babies with them knowing they have had that training! When you are gone keep emergency contact numbers next to your home phone, including poison control. I also recommend writing down your home address and keeping that in an easy to find spot. MANY people don’t have home phones now…when I went to call 911 with the Titus situation I had to call from my cell and I didn’t know Seth and Crissy’s address so it took more time trying to figure it out. I had to go to the mailbox while carrying him to get the house number and, thankfully, knew what letter the street started with and the town is small enough where the dispatcher helped me figure it out! It was def a good lesson learned! Cribs should be free of loose hardware, sturdy and have vertical slats no more than 2 3/8 inches apart (if you can get a soda can between the slats, they are too far) there should be no more than 1.2 inches between the mattress and cribs sides. Never leave a child unattended even for a moment if there is ANY water accessible to them. During the course we also covered SIDS and how to reduce the risks. I felt like throughout the ENTIRE course I was nervous and took it so much more seriously this time around. Since having Kye I’ve heard SO many stories or known several people myself who have dealt with CPR situations and even SIDS. It’s so much more REAL when it affects you personally and it’s something I take very, very seriously. I took tons of notes on the CPR stuff and really tried to think of the practice baby as a real child who needed my help. 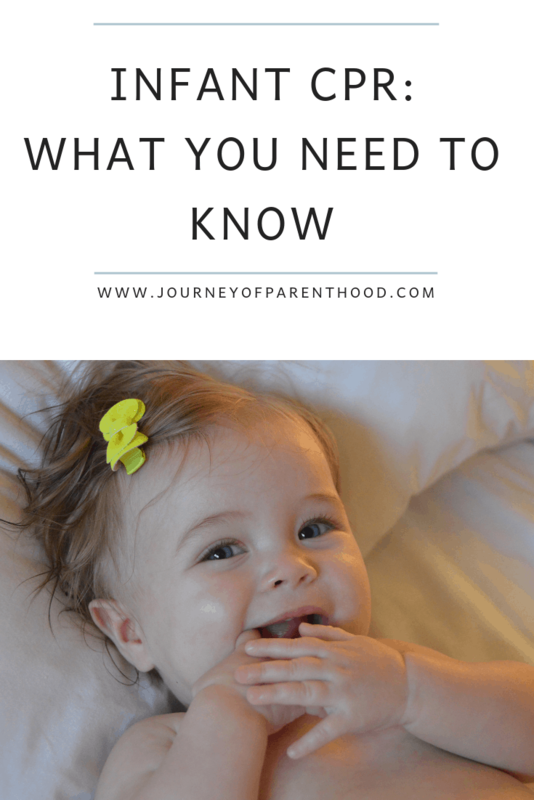 When it came to the SIDS prevention portion, I want to do every single preventative measure possible to help protect my baby! I took it semi-seriously with Kye and did many of the things suggested in SIDS prevention, but not all of them (he totally had a bumper!). This time, we will do EVERY item on the list!!! SIDS is the leading cause of death in infants under the age of 1 year. It is not understood why, but more boys are victims of SIDS than girls. NO stuffed animals, soft bedding, blankets, bumpers, etc in the crib! Make sure ALL caregivers follow the same things you do, babies who are used to be placed on the back to sleep that are put on the stomach to sleep are at a higher risk. EVERY sleep session counts! Do not allow the temperature in their area to be too warm. About 70 degrees is the perfect temperature. They need about the same amount of clothing we do to sleep and should not wear a hat to sleep after 1 month old. To me, the best part of the entire lesson came at the end. I stayed after and talked to the instructor and she suggested for me to look on the red cross website and order small wallet-sized brochures to hand out to all my caregivers (as well as for myself!) to keep on us at all times so we will know what to do if a situation arises. I thought it was a GREAT idea! 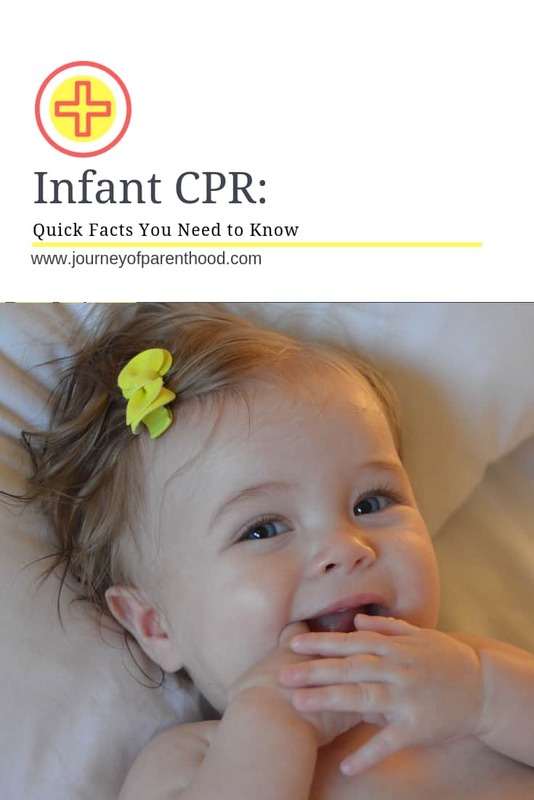 You can order the pediatric CPR booklets here! I handed one out to each member of our family and plan to keep one in each room of our home as well as in each baby bag and Kye’s suitcase etc. They cover both infant CPR and choking so it really is all you’d need in any situation to be prepared. It may seem overly concerned but until you are in an actual emergency type situation you can’t fully understand the feeling and the realization that you won’t remember every single step you’ve learned. Of course, I pray that no one will ever need to references one of those cards but I feel better knowing I have that quick reference if I do ever need it and that I will be better able to handle an emergency type situation should one arise again! South Georgia Medical Center offers the Infant CPR course for FREE if you are pregnant and delivering at their hospital. While it does not certify you in CPR, it does cover the basics and I HIGHLY recommend it!!! I believe anyone can take the course at the hospital for $5 per person since that is how much they charged me for Mom and Mrs. Charlotte. You can also find a local CPR course here! If you have heard of ANY other tips to reduce the risks of SIDS I’d love to hear them as I really do want to do everything I can in prevention for Blitzen! 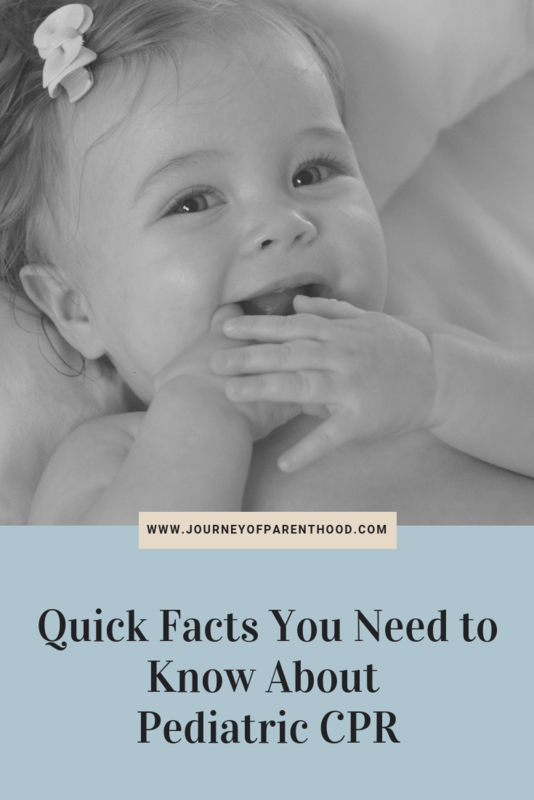 Be sure to read this post on the one tip you may not know in preventing SIDS. Have you ever had to use CPR on someone? Did you feel like you remembered all the proper steps or am I the only one who feels like I was less than fully prepared when faced with such a situation? Next Post Kye’s School Thanksgiving Day! This is great information, I now think we are going to have our parents go to a class with us when the time comes. I have heard that having a fan in the infant's room is supposed to help because it keeps air circulating. I just did a quick google search and Time Magazine has an article on it. I did not see if a highly credible site did though. Maybe something to ask the doctor about? I've heard something about a fan too. I want one of those angel care monitors. Rachel King posted on her facebook that she was glad she had them for the twins because one of them went off because (I think, don't quote me) one of the girls stopped breathing or something for a minute. I'm going to ask the doctor about the fan thing at my next appointment!